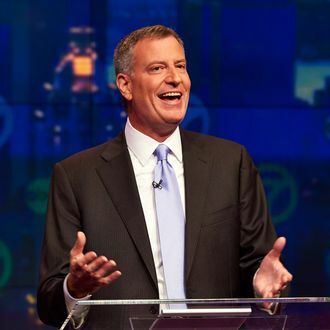 “For me, it would be generally-speaking, important to be there,” said the mayor-elect in response to questions about Mayor Bloomberg’s conspicuous absence from the Bronx this Sunday. “My instinct in these things is to be present,” he added. Easy to say when you don’t have regular access to a beautiful golf course in Bermuda.